The Rock Flexible Series cases are made to compliment your iPad Mini by offering all the needed features that enable you to conveniently use your iPad. The rock-hard case offers optimal duel side protection for your iPad and the leather-like finish gives it an attractive as well as professional look. 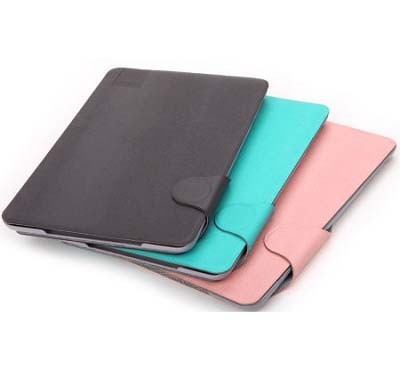 The case is offered in three different colors: pink, mint green and dark grey. 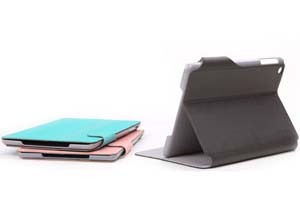 Fold out stand is ideal for using your iPad on the go or hands-free use. A perfect little case to keep you and your iPad Mini stylish and protected. I'd love the dark grey if I won. Thanks so much. I would choose mint green. I need the mint green!! Actually I would prefer the pink one but I share with my husband so being considerate I'd choose mint. I would pick the dark grey one. I like the pale coral. Either Mint Green or Black...not sure yet! Mint green! It's my 2013 colour! i would pick the mint green. Mint Green sounds great! THANKS! I would pick Dark Grey. Hi, I would love to have pink one, done all steps. I would choose the Mint colored one. I'd get the mint green! the aquamarine color looks pretty! I think the Mint Green.